The Train Visibility Centre Logo T-Shirt is a must-have sportswear piece from Ea7 . 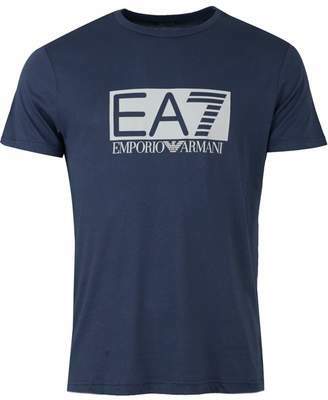 Crafted from pure cotton, the short sleeved style features a crew-neckline, straight hem and an eye-catching EA7 text motif to the chest. Style with other items from within the EA7 collection. 100% cotton Short sleeved Crew neckline EA7 motif to chest Machine washable Size and Fit Size photographed: Medium Pit to pit: 18"